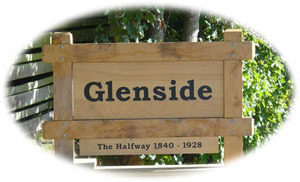 In 2005/06 Paul Taylor designed and developed the Glenside Signs. He donated $1,080 voluntary effort in sign design. He constructed two models, design and scale drawings, photographs and maps to support the Assn. application to Wellington City Council. Fletcher Construction and Placemakers Kaiwharawhara provided materials to build the signs. Fletcher Construction also provided a team of supervised apprentices to build the signs. The team at Fletchers were pleased to have the opportunity to build in brick as this construction material is not often available to apprentices. Wellington City Council Grants Committee supported the cost of the sign boards by approving a grant to have them constructed by Mr Colin Doughty, based at Petone. These signs provide a strong identifiable link to welcome travellers entering Glenside.